City Patch is the idea of patching “holes” in the urban tissue of the city. Many places are still empty or covered by infinite investments. 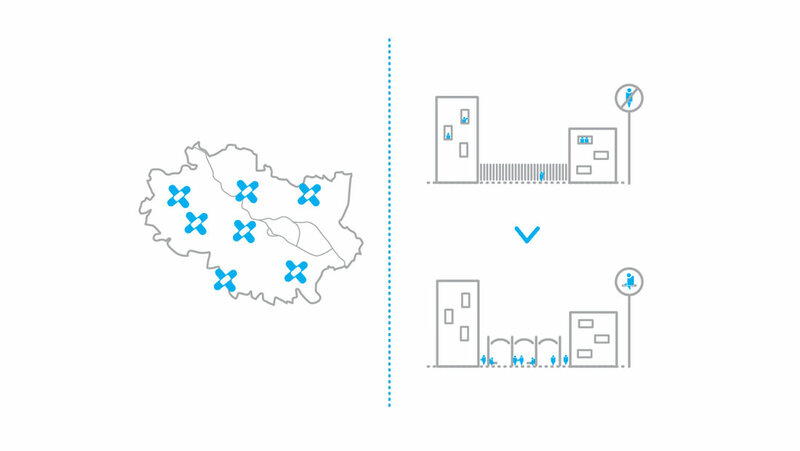 These areas are closed to residents, reduce the usable space of the city, while the city expands beyond it’s natural borders. The only reason why these spaces continue to stand unused (as explained by the city authorities or private owners) is lack of money. That is why we want to propose projects that are cheap, easy-to-construct, expand and quick to implement. We think about mainly temporary installations with the possibility of converting to a permanent structure or quick disassembly. The projects will have an impact on the local scale, solving problems of the community. Each of the projects is an answer to a problem, determined on the basis of studies and public consultation. The program includes at least few small projects, which allow us to test several methods of cooperation and investigation. We would like for each of the selected abandoned spaces to test a different modes of work on the project. 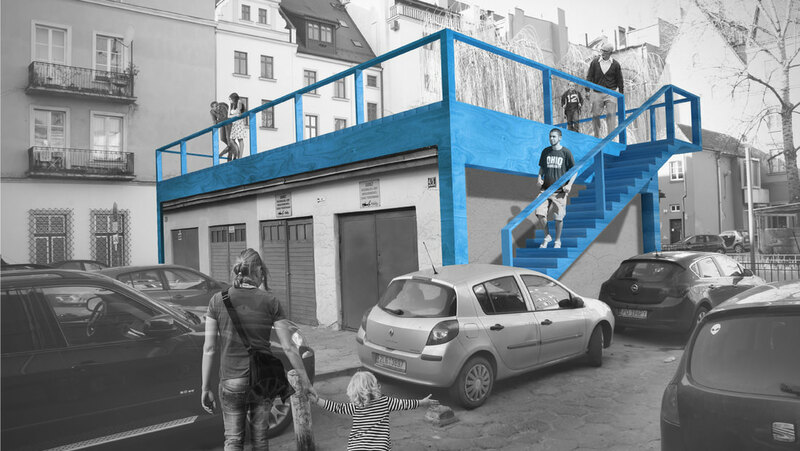 From social participation, through student workshops, inviting architects from other cities or countries in Europe or working with professionals from related fields like artists, designers or sociologists. 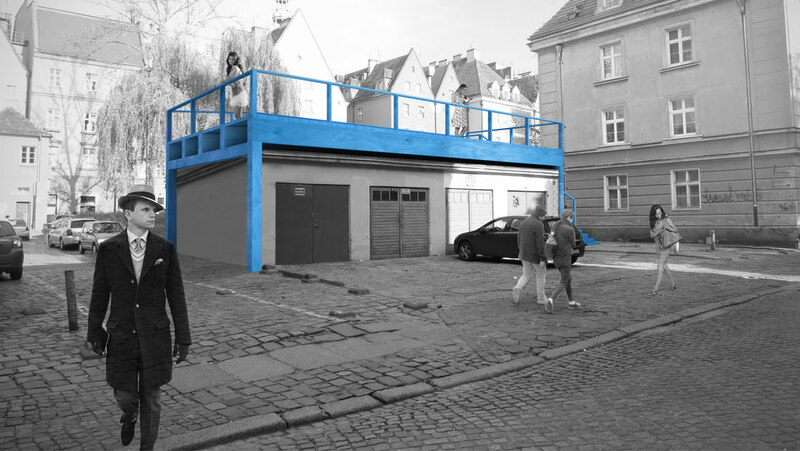 “Garage” project is an example of “CITY PATCH” idea. Street Ofiar Oswiecimskich from year to year becomes more popular and more crowded. Numerous cafes and restaurants attract locals and tourists whilst beautiful townhouses and a great location in the city centre are ideal for this to happen. During the summer more and more beer gardens appear, which now are set on both sides of the road. Along one side of the street you can see a number of garages. They are used by local residents, however, they are visually pffensive and impractical. It is obvious that we cannot interfere in their existence, however, we can think about utilizing the space around them. We offer a light wooden construction, forming the superstructure for existing buildings. Harmless to users,it can be treated as a patio, terrace, or even a beach, becoming a competitor to existing summer hangouts.